At grocery stores like Walmart, buyers get the option to use food stamps to pay; a relief for food insecure residents of Reno. Photo Credit: Temiloluwa Durojaiye for Noticiero Móvil. Tucked just beyond a row of pines, off South Virginia and past the Atlantis Casino Resort Spa, is a small nondescript brown building with hardly any identifying signs other than the title on its front door. Aside from the cars parked in the employee spots, the parking lot is mostly unoccupied. The scanty parking lot belies the high volume of activity that takes place inside the building. The middle of the building, like most state administrative offices, is filled chairs for the visiting beneficiaries, or first-time applicants, well separated from the cubicles which house the busy welfare officials that ensure the welfare checks get to those who need them. The Reno welfare office is tucked beyond a row of pines off South Virginia that provides privacy for the people who visit. Photo Credit: Temiloluwa Durojaiye for Noticiero Móvil. This is Reno’s welfare office — the city’s district office for the Division of Welfare and Supportive Service and an administrative annex for all of the state’s welfare programs. The DWSS, a branch of the Department of Health and Human Services, offers a wide range of services from child care to energy assistance; though the Supplemental Nutrition Assistance Program — known as food stamps or SNAP — remains one of its most well-known programs. 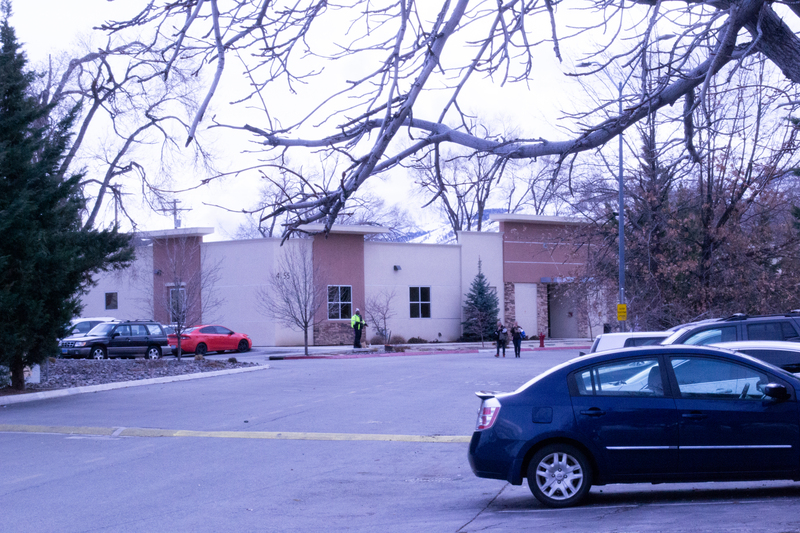 According to the most recent Renown report on community health needs in Washoe County, about 12.7 percent of the population are food insecure, a condition described as not having enough food to live active and healthy lives. On a chilly Friday afternoon in February, as the peak activity at the welfare office starts to subside, a man walks in with a worn look on his face. He is clad in a quilted shirt, blue baggy jeans, and a wooly hoodie — all faded from age — and speaking rapidly on the phone as he crosses the threshold of the front door. Larry Felix, 67, has just recently been released from his 2-5 year sentence at the Warm Springs Correctional Center on a drug charge. He was paroled early, having only served 27 months. Despite his short sentence, the process of reintegrating into society remains just as hard, and he decided to visit the welfare office in order to get assistance while he tries to find a job. Felix was born and lived in Sacramento through the ‘70s when he met and married his wife with whom he had kids. Following a divorce in the ‘80s, his wife moved with the kids to Hawthorne, Nevada and he would travel to see his kids intermittently for the next two decades. In 2012, he made a permanent move to Reno to get closer to his kids, and found a home in downtown Reno. Without access to high-level paying jobs, he found it difficult to take care of himself and provide assistance to his daughter at the same time. He told Noticiero Móvil that he started start selling drugs to supplement what he earned, mostly working small deals on the streets. On Nov. 3, 2016, an informant for the DEA tipped them off on a deal he was completing, and he was arrested for possession with intent to distribute. He received a sentence of two years and went to prison as a first-time offender. On January 25, he regained his freedom, but he still had the difficult task of rebuilding his life. “My journey back here has been tough due to the prison system,” he said. Despite popular stereotypes that Americans are relying heavily on welfare, a client survey conducted by a partner agency of the Food Bank of Northern Nevada showed that only 48.7 percent of clients were receiving SNAP benefits, even though 89 percent were eligible. Data from the State Welfare Office shows that the SNAP program currently serves approximately 46,500 people in the Washoe County and 430,000 people across the state of Nevada. That’s about 10 percent in Washoe County, and just over 14 percent in Nevada. In this regard, Felix is in an artificial minority, created by a combination of cultural stigma surrounding food stamps, a tedious application process, and restrictive eligibility requirements. The oft repeated notions that Americans are lining up in droves to receive food stamps and welfare checks often does not hold up. In reality, these programs offer only the bare minimum to its beneficiaries. The state’s benefit structure has a $15 minimum for a household with one or two people, and a maximum of $192 per month. Benefits reach as high as $1,155 for a household of eight, with an extra $144 for each additional person for families larger than eight. 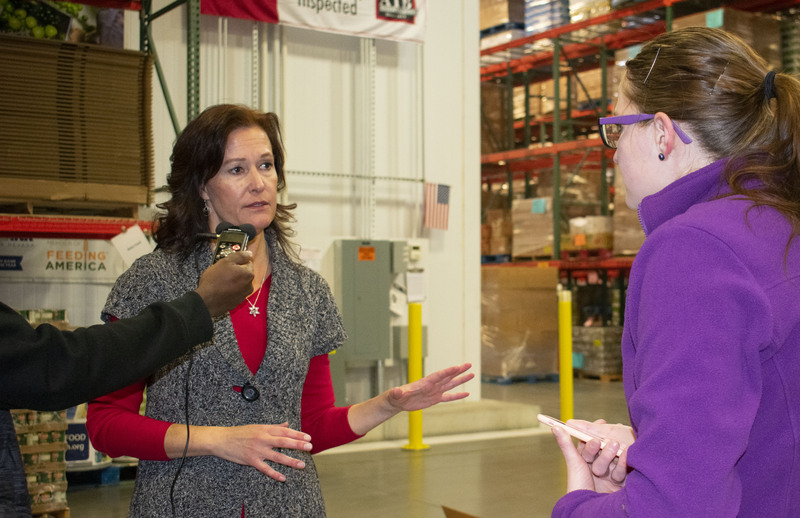 Jocelyn Lantrip, director of marketing and communications at the Food Bank of Northern Nevada explains carefully the difficulty of applying for SNAP. Photo Credit: Photo by Katie Nemitz for Noticiero Móvil. Occasionally, in serious cases of need like Felix’s, the state will expedite the application process. These serious cases are defined as individuals who report less than $100 in liquid resources, and less than $150 in gross monthly income. Julie Balderson, a social services specialist who works with the state confirmed that the welfare office prioritises this group based on their imminent need, as prescribed by federal rules. Although Felix didn’t have trouble applying, his unique position as a drug felon almost cost him the opportunity to begin with. According to Balderson, convicted drug felons must provide proof that they are attending or have successfully completed a drug rehabilitation program after their most recent conviction before being eligible for SNAP. Aside from the rules for drug felons, the eligibility requirements for the SNAP also include benchmarks for income and household resources, as well as employment status. Eligibility.com, a website which tracks eligibility for various state programs, tracks eight things that are used to determine eligibility for food stamps based on the requirements by the state; this does not include rules about criminal history. Overall, the eligibility requirements for the SNAP are extensive, and often leaves out large numbers of people who may need help with keeping food on their table. Particularly, the benchmarks for household resources and income result in the exclusion people who may not be below the poverty line or technically food insecure but still need the assistance to supplement their tight budgets; already stretched thin by their often numerous expenses. Kashae Felix, Larry’s daughter first applied for welfare in 1994 when she was 18 and in her senior year of high school. She was still living with her mom and had just had her first daughter. Without a job, she turned to the state welfare office for assistance. The application process was easy, and she stayed on food stamps for the next two years. However, things changed drastically as soon as she started working. The food stamps which had helped her ensure she could pay rent and still have enough for groceries were taken away. Kasahe believes that the current system only stands to benefit people who want to stay unemployed and exploit the system by having lots of children. It may appear counterintuitive to increase household expenses in order to get meagre assistance from the state; yet, there is enough anecdotal evidence that the narrative remains pervasive. “I just think the system is broken and the reason why I say that as a single mother that has raised two daughters I was always really never approved for food stamps,” she said. “The people and the women that don’t do anything, and they’re just lazy women laying on their butts, and have kid after kid, they get everything handed to them,” she added. In reality, there is no significant group of freeloaders looking to skate off state welfare checks. In fact, unemployed residents remain the largest group in real need of welfare and state assistance. At the Food Bank of Northern Nevada, the majority of the clients for their SNAP program are unemployed, and occasionally, homeless. “If you make very much income at all, you don’t qualify for SNAP anymore. So, a significant amount [of people at our SNAP program] are unemployed,” Lantrip said. Kashae and Lantrip both agree that household income doesn’t do a good job at determining who needs food assistance and SNAP. Both recommend debt ratio or poverty rate respectively as more accurate indices for who needs food assistance. According to the US Census Bureau, median household income is back to the highs of 2008, pre-recession — $57,500 in 2008, $58,595 in 2017 — yet individuals may still have less to spend on food due to increase in the price of expenses such as rent. Therefore, household income as a benchmark continues to exclude large groups of people who need the program. 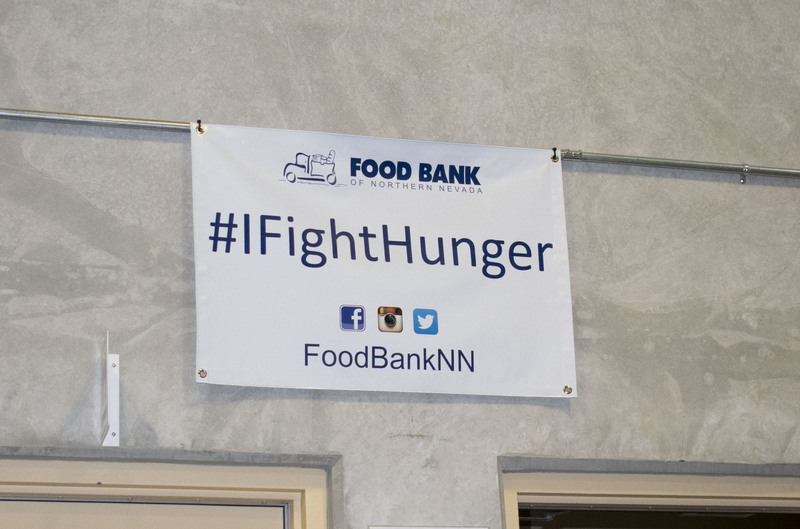 The Food Bank of Northern Nevada takes to many different social media platforms to spread their message and information, making them more accessible to the public. In the past few years, the population of food insecure residents in Washoe County has seen a steady decline as rates of enrollment in the SNAP program have risen. The Renown’s Community Health Needs Assessment for 2018-2020 reports a decrease in food insecurity from 14.7 percent in 2013 to 12.7 percent in 2015; or about 8,700 individuals. Conversely, SNAP enrollment rose from 11.3 percent in 2013 to 13.0 percent in 2015; or about 7,500 individuals. However, the federal government recently passed new requirements for SNAP eligibility that will further restrict access to the welfare program, especially for people who don’t fit the narrow idea of someone who needs assistance. The rule, which was proposed early last year, and passed into the law this year designates time limits for “able-bodied adults without dependents” or ABADWs, ages 18-49. Under this new stipulation, this group can only access SNAP for three months during a 36-month period, unless they meet stringent requirements — they must work for at least 80 hours a month, participate in qualifying training programs for at least 80 hours a month, or do unpaid work in a workfare program. Before the law was passed, Republican leaders argued that welfare programs like SNAP are ineffective because they discourage people from seeking jobs, Vox reported in December last year. Yet, the research shows the opposite. 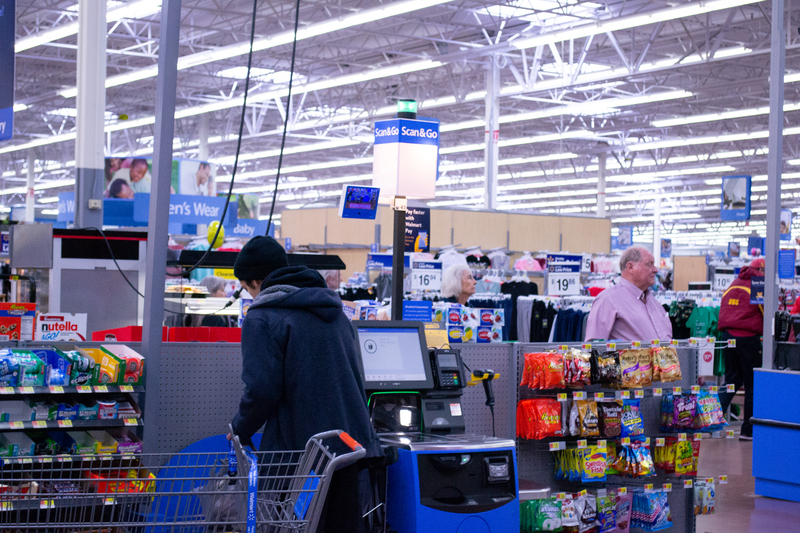 Data for Nevada and Washoe County is unavailable but national researchers have found that SNAP beneficiaries without a dependent often cycle through periods of unemployment and employment. In addition, the employment they have may not always meet the 80-hour requirements, putting them at risk of losing their SNAP benefits. Furthermore, research in 2012 and 2013 show that not restricting access to welfare programs like SNAP leads to reduction in food insecurity within the studied population. The state of Nevada is currently under a federal waiver that encompasses all counties in Nevada with the exception of Washoe County, that exempts ABADWs. This still leaves 2,252 individuals who fit in this group within the Washoe County, based on data from the welfare office. It’s also worth noting that these new requirements will likely disproportionately affect the Latinx community in Nevada more than any other, as they still have higher levels of unemployment, notwithstanding the positive trends in employment across Washoe County. There is no specific data for employment rate by ethnicity, but the Renown report on community health needs in Washoe County reports higher rates of unemployment among people with less than a high school diploma; a group that features prominently in the Hispanic community. According to the same report, 45 percent of Hispanic people in the Washoe County have less than a high school diploma and unemployment rate among this group is at 11 percent, compared to the overall Washoe County rate of 6 percent.